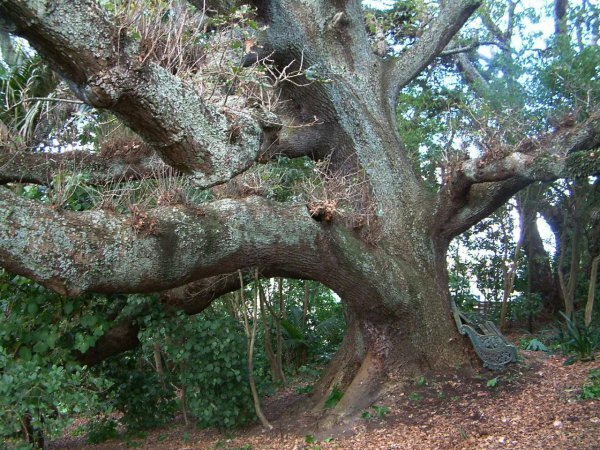 A massive old oak in the rear of the property (Donaldson 1988). The kauri-constructed Ewelme Cottage has a link with the Anglican community in Auckland, the dwelling was designed and built for the Reverend Vicesimus Lush (1817-1882) and his wife Blanche in 1863-64 (Heritage New Zealand). 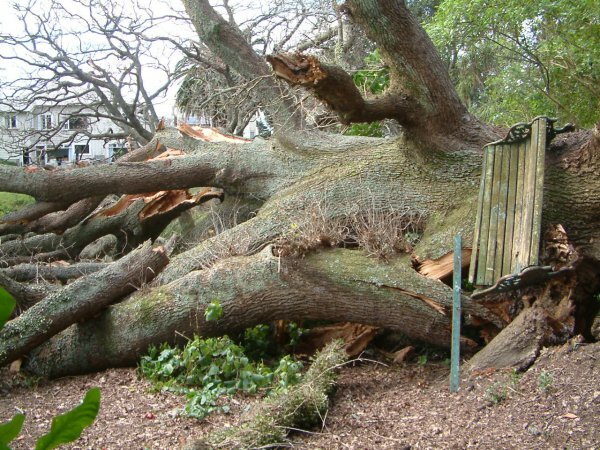 'The property has now been purchased for preservation by the Auckland City Council. There are many good exotic and indigenous trees at the back of this old home (Burstall 1971). Reference. Burstall SW. FM. Report no.16. 1971; p.45. 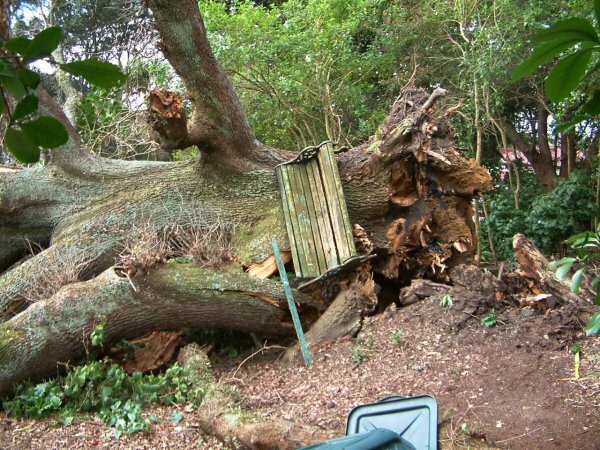 The tree fell in calm in conditions on the morning of 27 August, 2011 (Email, Collett, G. 2014). 20 Apr 2011 Collett, G.
The tree was located behind the cottage.